Google announced last week that it’s killing off Project Tango, its ambitious initiative to bring AR support to phones with the necessary hardware (read: depth- and motion-sensing cameras). It wasn’t entirely unexpected, particularly after Google launched its ARCore technology earlier this year – it allows for augmented reality experiences on phones without the need for specialized components. Only two devices – Lenovo’s Phab 2 Pro, and Asus’ ZenFone AR, were built to the standards demanded by Google to support Tango. While ARCore is arguably a better use of Google’s time because it’ll reach more people, it’ll be interesting to see if the company – as well as third-party Android phone makers – ever bother with dedicated depth- and motion-sensing cameras again. 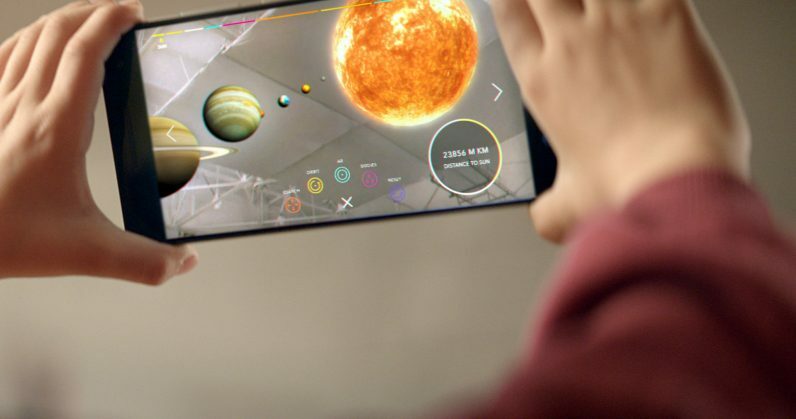 As Google’s been proving with its various ARCore demos (including a recent one that let you add live Star Wars stickers to your videos on Pixel handsets), you don’t need those to enjoy a quality AR experience with fairly accurate tracking and positioning of virtual elements. However, without those special cameras, it might be difficult to properly run more specialized apps, like a map that overlays directions on the street while you walk or drive. Such functions would require sophisticated tech to pinpoint a phone’s location better than what it can currently do with GPS, noted The Information back in July. It also seems like 2018 might be more about additional processors for handling AI computation exclusively. Apple and Huawei are already touting these as the differentiating factor for their latest flagships, as they’re designed to allow for improved photography, face recognition, and language translation. It remains to be seen if AR fits into that picture. Still, the death of Tango could signal a larger push from Google to make AR more accessible in the coming months and years. It’s already launched a library of 3D objects that people can use in their VR/AR projects, and encourages users to share their own as well. Hopefully, you’ll soon be able to enjoy AR content without having to pony up for a top-of-the-line phone soon.